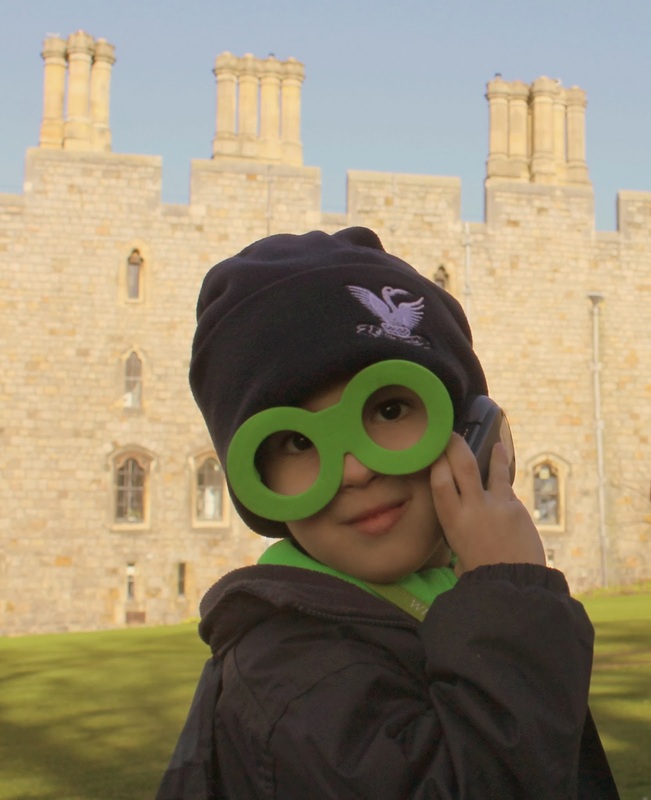 Arrows Sent Forth: What Can Kids Do at Windsor Castle? The guide is really designed for children a few years older than Big Arrow, but he still liked listening to it and telling us what he was hearing. He definitely learned a few things from it. He also thought it was fun to find the numbered placards that correspond with the guide, so you can challenge your kids to identify those even if they're not into the guide itself. And Little Arrow just enjoyed having something to play with that had buttons, so grabbing a guide for him was worth it, too. We took our time before entering the interior State Apartments so that the kids could burn some energy off. After all, they had already sat still in the car for the 2-hour drive to get there. Please keep in mind, though, that children should stay off the grass (which is roped off, mostly). Luckily, it wasn't terribly busy when we were there, so there was plenty of room on the paths and roads for them to explore. Take pictures and pose for pictures. 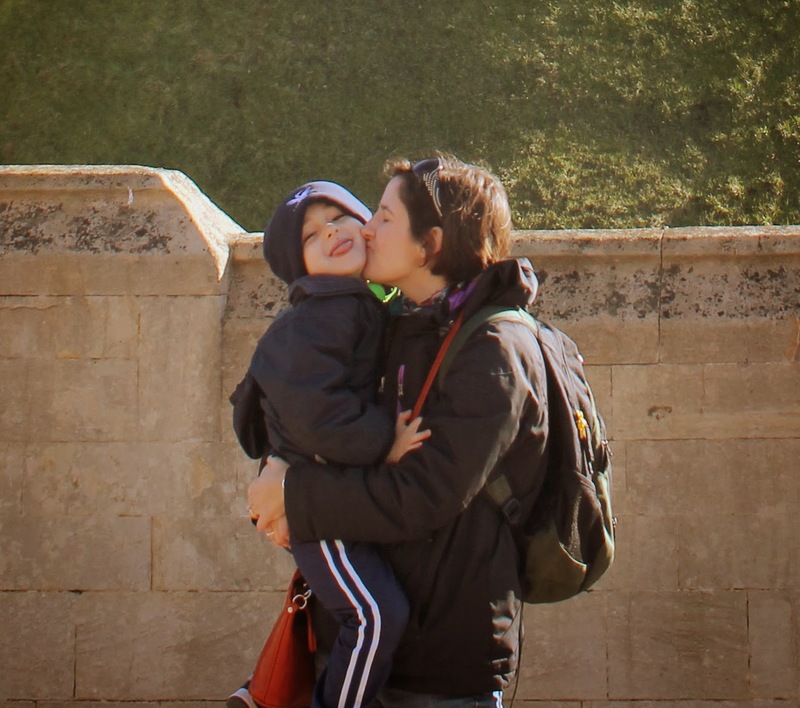 Windsor Castle is a very photogenic place. Get the kids involved by letting them take pictures and pose in photos. Big Arrow took one of my favorite photos of the day with my cell phone. 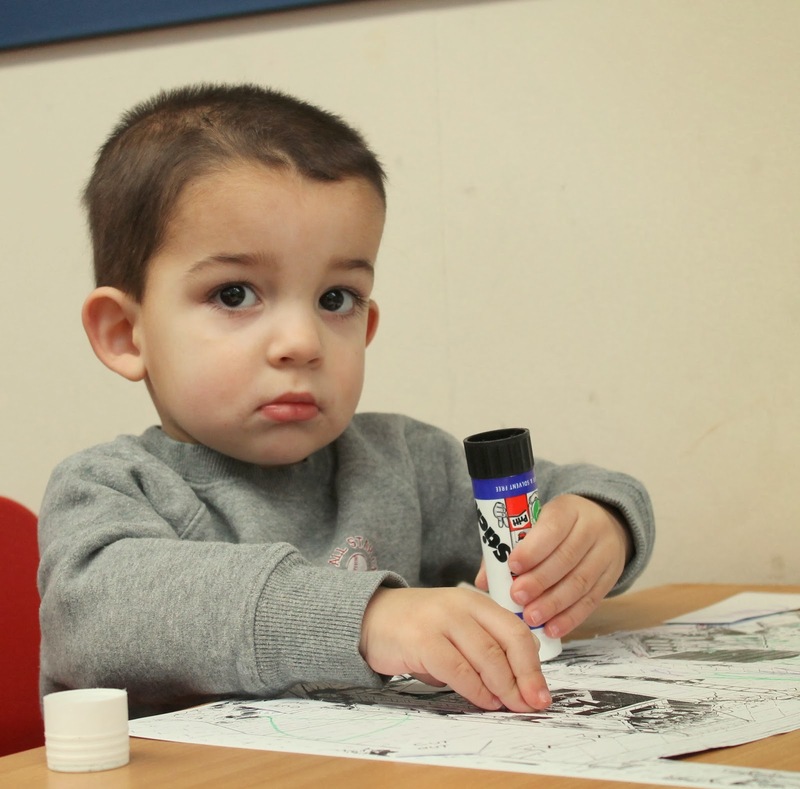 Ask about and participate in the family activities offered. Use your best judgment about entering the State Apartments. The interior of Windsor Castle is definitely adult-oriented. That doesn't mean there's nothing inside that would interest kids. Little girls would probably adore Queen Mary's Dollhouse exhibit. But it does mean that toddlers can't go running wild through the Queen's formal dining room (understandably). You're also not allowed to bring strollers inside, though you can rent a baby carrier if you don't have one. The way my family handled this situation is that I entered the apartment with Big Arrow. We knew he was mature enough to handle it. My husband stayed outside with Little Arrow to give him more time to run around and play. They came inside about 15 minutes later. Once they caught up to us, we quickly finished the tour, and exited. Conveniently for families, it's not a guided tour. All visitors use the audio guides to move at their own pace. So if you quickly want to breeze through the building (like we did), you won't be rushing anyone else. If you and your kids want to take your time and listen to all the audio clips, that's fine too. You won't be slowing anyone down either. The reality is my husband didn't really get to stop and appreciate much about the interior of the castle. And I missed most of the second half. But it was better than not going in at all. If you're traveling with another adult, you could also take turns. There are many other ways to keep kids entertained. Gigantic planes from nearby Heathrow fly overhead every 5-10 minutes, which delighted Little Arrow. Big Arrow enjoyed looking out the narrow slits in the castle walls designed for arrows to be shot out at invaders. Soldiers march around frequently, which fascinated all of us. 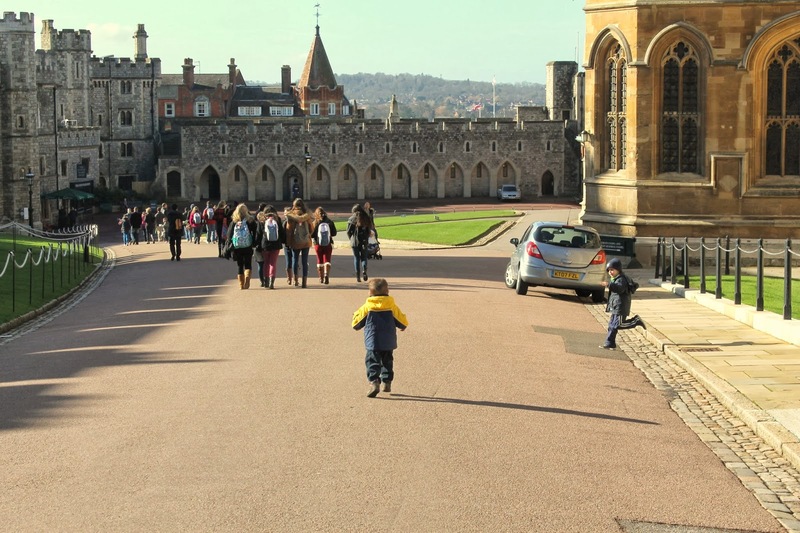 Overall, with the exception of the State Apartments, Windsor Castle is a very easy place to take young children. I'm glad our entrance tickets (rather pricey, but still worth it) are good for an entire year, I'm hoping we'll have a chance to visit again.